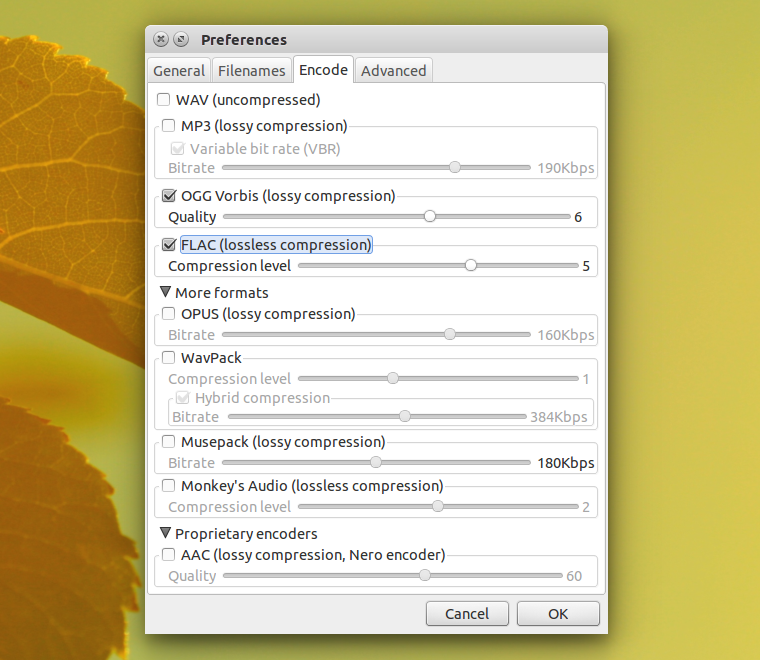 Asunder is a GTK2 Audio CD ripper and encoder for Linux. It can be used to save tracks from Audio CDs and encode them in various popular audio formats such as MP3, OGG, FLAC, WavPack, WAV, Musepack, Opus, AAC and Monkey's Audio. The application can retrieve tags from CDDB (with configurable server address, proxy support), lets you configure the filename formats and much more. Does not require a specific desktop environment. Asunder is available in the official Ubuntu repositories, but it's a pretty old version (2.2 for Trusty and Saucy and 2.1 for Precise - the latest Asunder version being 2.5). WebUpd8 reader N. W. has asked me to upload the latest Asunder to a PPA so I have backported Asunder 2.5 from Debian (same version is also available in Ubuntu 14.10) to Ubuntu 14.04, 13.10 and 12.04. I've tested the latest Asunder 2.5 in Ubuntu 14.04 and it worked great but, because I can't test it properly under older Ubuntu versions, I can't guarantee that it will work (in theory there's no reason it wouldn't work but anyway). That's why I've uploaded it to the WebUpd8 Unreleased / Backports PPA. 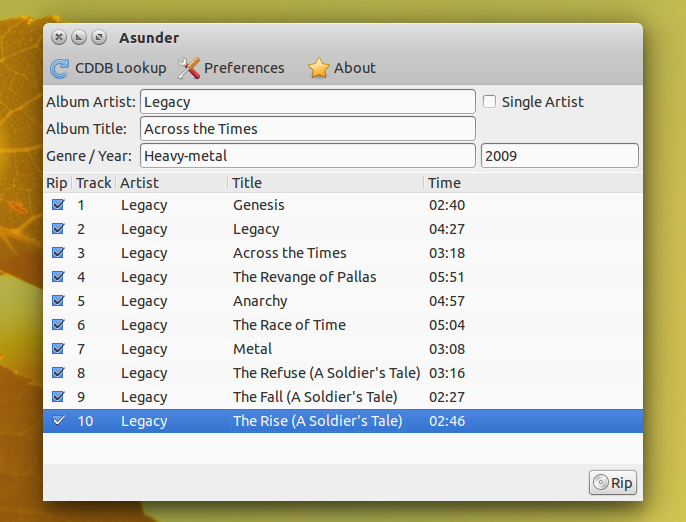 Fixed two major bugs that caused Asunder to hang while ripping. If you don't want to add the PPA, grab the deb file from HERE.